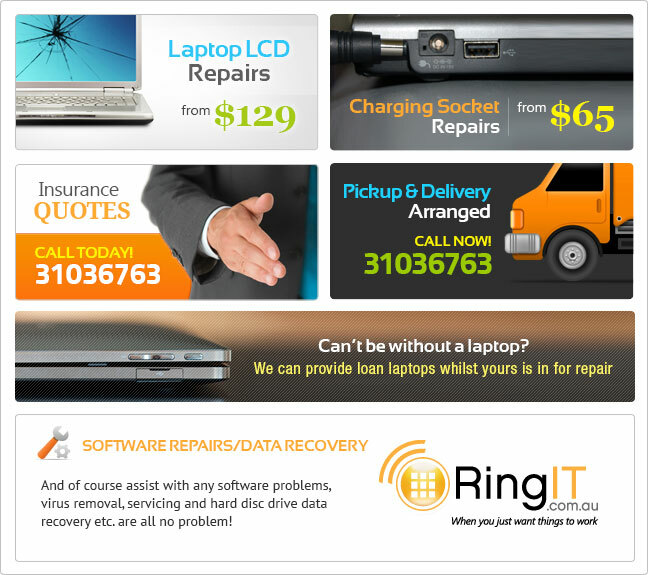 We specialize in not only laptop repairs but also can repair any and all hardware. Here’s more good news! Ring IT will arrange pickup and delivery. We repair any brand of laptop and can assist with any of the repairs below. Most repairs are repaired within 1-2 days. (Parts dependent) and loan laptops are available for a small charge.